i. With the issuing of Kathamandu Declaration, the 18th SAARC Summit concludes at Kathamandu, this evening. Chairperson of the Summit and Nepal Prime Minister Sushil Koirala declared the Summit closed. iii. 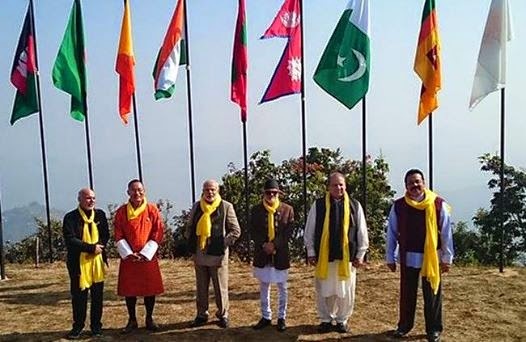 Earlier, Prime Minister Narendra Modi and other SAARC members held informal talks at the Retreat Session of 18th South Asian Association of Regional Cooperation Summit (SAARC) at picturesque Dhulikhel under foolproof security arrangements. Mr. Modi planted sapling of banyan tree at the venue. i. In a face saver, SAARC countries today signed a framework agreement on cooperation in power sector but failed to finalise the much-awaited motor vehicle and railway pacts for greater people-to-people contact and movement of goods due to opposition from Pakistan. ii. There were hectic efforts to pursue the Pakistani side, which stalled the inking of the pacts on the pretext that internal processes were not completed following which three months' time was set for getting approval. iii. The framework energy pact will enable cooperation in the power sector among the eight member countries and facilitate integrated operation of the regional power grid. iv. "A time period of three months have been set for approval to the Motor Vehicle and Railway pacts," Nepal's Prime Minister Sushil Koirala, who is also the SAARC chair, said in his address at the concluding session of the 18th summit of the regional grouping. i. Once compared to the great Donald Bradman, Australia Test cricketer Phillip Hughes passed away today in Sydney following a fatal injury he had incurred in a Sheffield Shield match on Tuesday. Hughes would have turned 26 on Sunday. ii. During this game for South Australia against New South Wales, Hughes was batting on 63 when he was struck on neck by a bouncer from pace bowler Sean Abbott. iii. Hughes stood dazed for a few moments before falling face first to the pitch. He did not gain consciousness again. iv. "It is my sad duty to inform you that a short time ago Phillip Hughes passed away," Australian team doctor Peter Brukner said in a statement. v. "He never regained consciousness following his injury on Tuesday," added Brukner. "He was not in pain before he passed and was surrounded by his family and close friends. vi. 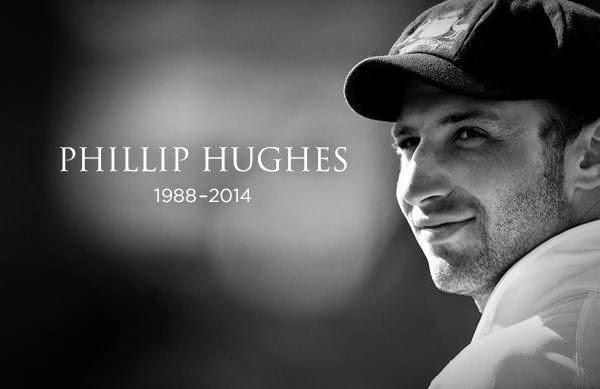 As a cricket community we mourn his loss and extend our deepest sympathies to Phillip's family and friends at this incredibly sad time." vii. "Phillip took the blow at the side of the neck and as a result of that blow his vertebral artery, one of the main arteries leading to the brain, was compressed by the ball," Brukner said on Thursday. "That caused the artery to split and for bleeding to go up into the brain. He had a massive bleed into his brain. This is frequently fatal at the time. i. With questions being raised over the degree of safety provided by protective gears in cricket in the wake of the Phil Hughes incident, the manufacturer of the injured cricketer’s helmet, Masuri, has said that the Australian batsman was wearing an older and lighter headgear. ii. A spokesman for the UK-based company said that Hughes was wearing an old helmet instead of their their latest model, in the Sheffield Shield match between New South Wales and South Australia at the SCG on Tuesday. iii. 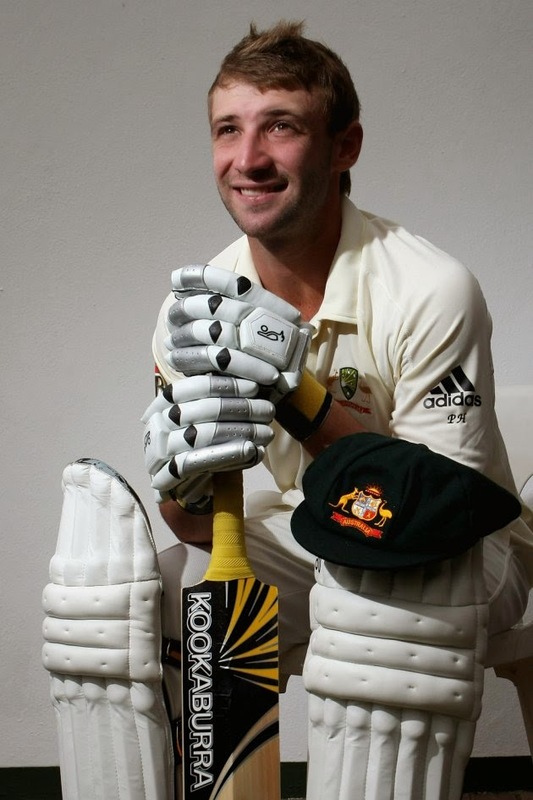 “From the footage and pictures currently available to Masuri, it appears that Phil Hughes was struck by the ball to the rear of the grille and below the back of the shell, missing his Masuri Original Test model helmet,” the spokesman was quoted as saying by Australian press. iv. Hughes continued to fight for life as he remained in a critical condition after being struck on the head in a freak accident on Tuesday. i. Retired Supreme Court judge, Justice CK Prasad, Thursday assumed charge as the chairman of the Press Council of India (PCI), an official statement said. ii. "Justice C.K. Prasad who retired as the judge of the Supreme Court of India July 14, 2014 assumed charge today (Thursday) as chairman, Press Council of India," said the PCI statement. iii. Justice Prasad succeeds Justice Markandey Katju who was appointed as PCI chairman Oct 5, 2011.
i. Centre on Thursday submitted before the Supreme Court that Sanskrit will be the third language in classes 6 to 8 in Kendriya Vidyalayas. i. President of India Pranab Mukherjee penned a book titled The Dramatic Decade: The Indira Gandhi Years. ii. The book has been published by Rupa and will be released on 11 December 2014.
iii. The Dramatic Decade is the first of a three-part volume; the second one will be on the years from 1981–88 and the third volume will be from 1988 to 2012.
iv. The book presents an exceptional portrait of a complex nation and draws from Pranab Mukherjee’s personal diary extracts, conversations with key players of the 1970s, and vital secondary literature. i. Biography titled My Name is Abu Salem was released on 16 November 2014.
ii. Biography on underworld gangster Abu Salem has been written by S Hussain Zaidi and published by Penguin. iii. The author of the book, Zaidi who knows the Mumbai underworld better than anyone else has tried to tell, the life of Salem. iv. In My Name is Abu Salem, the author has tried to present complete unknown details and first accounts of the gangster. i. Punjab National Bank (PNB) on Wednesday said it will continue giving free transactions to all saving bank account cardholders using PNB ATMs, irrespective of the number of transactions. ii. The Reserve Bank of India (RBI) had advised that atleast five free transactions (inclusive of financial and non-financial transaction) per month should be permitted to the savings bank account holders for use of own bank ATMs. iii. PNB has gone beyond this norm to provide value added services to its own customers, according to a release. .
i. To provide liquidity to retail investors investing in long-term bonds issued by banks for financing infrastructure and affordable housing, the Reserve Bank of India said banks can extend loans to individuals against these bonds. ii. The central bank said boards of the banks should lay down a policy in this regard prescribing suitable margins, purpose of the loan and other safeguards. iii. Further, such loans should be subject to a ceiling, say, Rs. 10 lakh per borrower, and tenure of loan should be within the maturity period of the bonds. 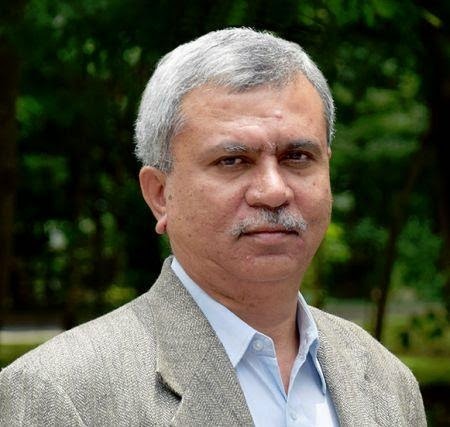 i. Trilochan Sastry, Professor in Quantitative Methods and Information Systems, Indian Institute of Management Bangalore (IIMB), has been awarded the ‘Bharat Asmita’, an honor instituted by the Pune-based MIT group of institutions. ii. Professor Trilochan Sastry teaches a wide variety of courses in the post graduate programme, doctoral programme and executive education programmes, including operations management, quantitative methods, data structures, algorithms and discrete mathematics, at IIMB. iii. Professor Sastry has, to his credit, a number of management cases on operations management, ethics, change management and electoral reforms. i. Pakistani actress Veena Malik was sentenced to 26 years in jail on 26 November 2014 by an Anti-Terrorism Court (ATC) of the Gilgit region of Pakistan. ii. She was sentenced for blasphemy for appearing in mock Geo TV wedding scene in which religious song about the wedding of the Prophet Muhammad's daughter was played in background. iii. Apart from Veena Malik, the court’s Judge Shahbaz Khan also sentenced Mir Shakil-ur-Rahman, owner of Geo TV and Jang group, Malik’s husband Asad Bashir Khan and TV host Shaista Wahidi for 26 years each. iv. The ATC also imposed a 1.3 million Pakistani rupees fine on the convicts and ordered that their properties should be sold to raise the fine, if they failed to pay it. i. The Supreme Court today observed that IPL team Chennai Super Kings, CSK, owned by BCCI President in exile N Srinivasan should be terminated without further enquiry as one of its officials Gurunath Meiyappan has been indicted for betting by an inquiry committee. ii. Meiyappan is the son-in-law of Srinivasan who is himself facing questions on conflict of interest. The court asked Srinivasan to give details about who controls Chennai Super Kings owned by India Cements. Srinivasan is the Managing Director of India Cements. iii. In further setback for Srinivasan, the Supreme Court proposed fresh elections in the BCCI. The apex court, which was hearing the Justice Mudgal Committee report into IPL betting and spot-fixing scandal, said election can be held but persons, including Srinivasan, named in the report will not contest and new board will take decision on the scam. thnx..bt plz update in pdf version..! !